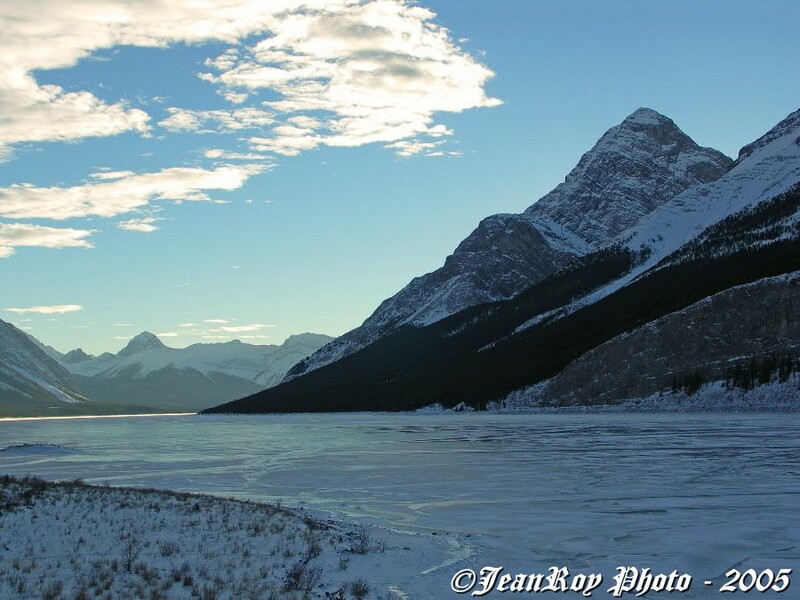 Looking South accross the frozen Spray Lakes in Kananaskis Country! Looks pretty cold there. Is that ice actually thick enough for skating? It looks a bit thin in some areas. I sure wouldn't want to fall through the ice into that cold water!! The day I took those photos, there were two people on skis para-sailing. The ice was quite thick as there had been ten days of -20c temperatures.